So many things to do, so little time you say… You may find yourself too busy for research or planning and just simply arrive and that is perfectly okay as we are dedicated to making your stay a relaxing one! 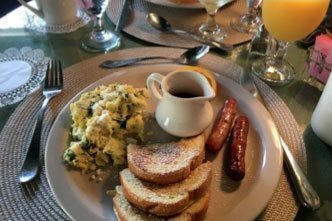 We are also ready to assist you plan an itinerary, which is why we’ve decided to come up with a unique list each week of things to do in St. Augustine. Historic, beautiful St. Augustine, Florida is full of activities day and night and the long googled list of things to do can certainly be overwhelming! As you can easily realize, the city simply offers something for everyone! There are tours of many of our historic buildings by day for the history buff in you, riding narrated tours, walking tours, boat excursions, ghost tours at night, shopping, eating – you can basically find it all right here just outside our front door! Whether you choose to tour by trolley, foot and even via sailing vessel – we have come up with a short yet diverse list of activities to choose from below; including St. Augustine Eco Tours for the nature enthusiasts out there! 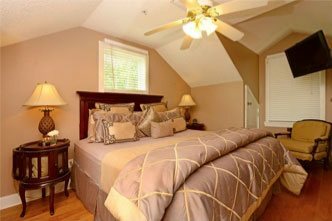 All recommended and raved about – here are four things to plan during your upcoming stay with us! 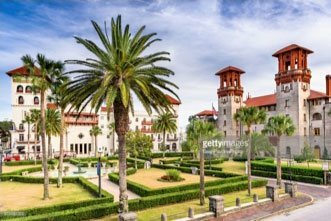 Take a tour of Flagler College that highlights the architectural heritage of the former Hotel Ponce de Leon. Built by millionaire developer, Henry Flagler, in 1888, the hotel is considered one of the finest examples of Spanish Renaissance architecture and houses the largest collection of in use Louis Comfort Tiffany stained glass windows. Located at 74 King Street, tours depart from the Rotunda at 10:00 a.m. and 2:00 p.m. Admission is $10.00 for adults and $1.00 for children. St. Augustine Eco Tours takes nature enthusiasts of all ages on guided tours of the waters and salt marshes surrounding the Oldest City. See coastal birds like ospreys and herons, marine mammals including bottlenose dolphin and an occasional manatee — all in a beautiful setting of amazing scenery. Daily tours aboard their special explorer vessel take 2-6 guests through 12 miles of tidal creeks and coastal waters — listen for dolphin conversations using the vessel's underwater microphones! $40 per adult, $35 for children ages 3-12, $15 for infants to age 2. Sail daily aboard the Sirenia to see wildlife, soak up the afternoon sun or watch as a romantic sunset colors the evening sky. $45 per adult, $35 for children ages 3-12, $15 for infants to age 2. Daily two-hour (10 a.m. – noon) kayak tours take paddlers into the estuary and provide a unique perspective on the Castillo de San Marcos fortress. Instruction and all equipment included. $45 per adult, $35 for children ages 6-12. Call for reservations and tour departure times. 111 Avenida Menendez, St. Augustine. 904-377-7245 Be sure to visit www.staugustineecotours.com for further information on tour times and availability. Schooner Freedom Sailing Excursions – The Schooner Freedom sets sail daily from the St. Augustine Municipal Marina and provides guests with an unforgettable two-hour sailing adventure. Sunlit daytime sails are $35 for adults, $25 for kids ages 2-12, free for under age 2. Beautiful sunset sails are $45 per person and once each month there's an amazing full moon sail for $35 per person. All sails are weather permitting. Call for reservations and departure times. 111 Avenida Menendez, Slip 86., St. Augustine. 904-810-1010. 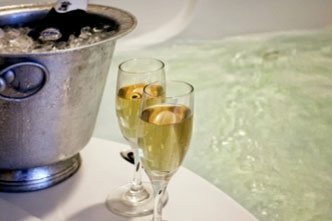 Also be sure to visit www.schoonerfreedom.com and/or have the innkeeper assist you with contact and reservations.